Get the Adrenaline Rush in you. There is nothing like a good rafting experience in the rivers of the Himalaya, especially if you’re one of those who has a love for both great thrilling adventure, a sense of fun and an immense love for water. The Ganga at Rishikesh offers ample opportunities for rafting. It is possible here to organize a half day trip or a full day trip which involves a run of 26 Km and requires a minimum of only two people as there are groups covering this stretch almost every day. But if you are looking for some more quality time to spend on the river then we recommend you take the longer 36 Km stretch. However, this would require at least four people. The day rafting experiences are the easiest to handle and can be finished in a short period, so much so that you can jolly well be back in your home the next day. You can have amazing day adventure to add to your de-stressing activities as well. Especially recommended for those who follow a very rigorous and busy schedule and can only take out a day or two to live it out. A must for all kinds of people as these expeditions do not require much level of expertise and can be enjoyed by almost everyone as long as you pay attention to the brief given to you. 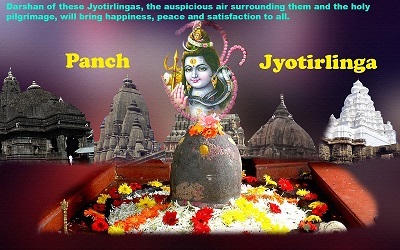 So simply de-stress one of these weekend and come to Rishikesh and greet the Ganga with open arms. Some great grade III rapids are here to greet you. Day 01. Arrive at Rishikesh before noon. Go for a Camp Roller Coaster Shivpuri. Welcome to Beach camp! Get served with hot buffet lunch and then spend some free time to explore the area. Have evening tea. Either you can relax in the camp or take a Jungle walk near the campsite. Enjoy evening bonfire with lite snacks. Have Dinner. Overnight at the camp. Camping at Shivpuri on full board and full of activities. Tips for River Rafting/ White Water Rafting It is expected that many of you are on your first rafting trip. The adventure of river rafting can be fun and game if you follow a few safety rules and keep some important tips in mind. A few hours of professional training can also make you a good rafter. While you are at Rishikesh enjoying your river rafting or white water rafting trip, try to remember and follow the following tips. These tips, if adhered to properly, can make your adventure trip of rafting even more exciting and enjoyable. · Rafting is a sport that you enjoy while sitting down. So, you don't necessarily need to be in a tiptop shape. What actually counts is the adequate strength in you upper arm and the shoulder. 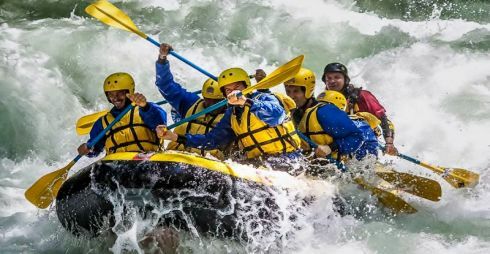 · During summertime (which is the main season for river rafting in Rishikesh), the suitable rafting gear includes wetsuit, life jacket, nylon shorts, tennis shoes/ sandals and a hat. In case, you are rafting during autumn or springtime, you'll need some additional clothing. · Remember to carry dry bags to safely store some personal items that you might bring during the trip. However, it is advised that you avoid carrying things like wallet, car keys and mobile phones on a rafting expedition. · Also carry with you other essentials including sunscreen, sunglasses and a camera. You causally get yourself disposable water-resistant cameras for the purpose. For the rest like pump, cargo nets and patch kit, you need not worry, as the travel assistant will get it done all for you. · Your are advised also to dress in layers, so that you don't face any difficulties adding or removing articles. Remember to dress up in synthetic materials including wool and polyester. This will keep your body warm during the river rafting trip. · While you are setting off on your rafting adventure, don't forget to take along necessary medications, if any. These medications may include inhalers, bee sting kits, insulin etc. · To acquire more rafting skills, you are suggested to sign up for a multi-day trip. This way you can learn the technical skills of the adventure sport and can also enjoy a high grade rafting trip during your holiday. · Travelers and adventure lovers can also get themselves enrolled for short-duration rafting courses. Spending a few hours for a couple of days under professional guidance can turn you into a much skilled rafter. For Traveling - Try to be as light as possible. Rishikesh Rafting Season: 15st September to 30th June. Rishikesh Riverside Beach Camping Season: 15st September to 25th June.